Success! 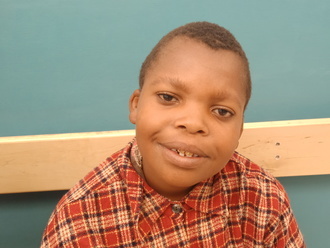 Christina from Tanzania raised $838 to fund orthopedic surgery. Christina's treatment was fully funded on December 10, 2018. Christina had a successful surgery that has helped straighten her legs. Once her cast is removed, she will be able to walk and play without any challenges or pain. Christina is a young child from Tanzania. She is the youngest in a family of three children. Unfortunately, Christina’s father passed way. This left Christina’s mother with three children to support without a job. She started a small business of cooking food in local hotel to support her children. Christina was diagnosed with genu varus. Her legs are bent outwards at the knees. This condition is typically caused by an excessive accumulation of fluoride in the bones, which often stems from contaminated drinking water. As a result, she experiences discomfort after walking for a short distance. Our medical partner, African Mission Healthcare, is requesting $940 to fund corrective surgery for Christina. The procedure is scheduled to take place on October 10. Treatment will hopefully restore Christina’s mobility, allow her to participate in a variety of activities, and greatly decrease her risk of future complications. Christina's case was submitted by Joan Kadagaya at African Mission Healthcare Foundation in Tanzania. Christina was submitted by Joan Kadagaya, Curative Medical Support Program-Partner Representative at African Mission Healthcare Foundation, our medical partner in Tanzania. Christina received treatment at Arusha Lutheran Medical Centre (ALMC). Medical partners often provide care to patients accepted by Watsi before those patients are fully funded, operating under the guarantee that the cost of care will be paid for by donors. Christina's profile was published to start raising funds. Christina's treatment was successful. Read the update. Christina's treatment was fully funded.